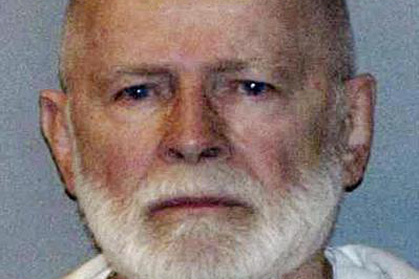 Whitey Bulger goes on trial this week in Boston and it will be justice at last for the family of IRA gunrunner John McIntyre. They believe that the former U.S. marine, who was brutally murdered, was ratted on by former FBI agent John Connolly who was secretly working for Bulger. McIntyre had become an FBI informant against Bulger after an IRA gunrunning expedition from Boston ran astray. McIntyre was a crewman on the Valhalla, a ship that ran 7 tons of guns for the IRA from Boston back at the height of The Troubles in 1984. Whitey Bulger had set up the shipment say federal authorities. Tipped off by an IRA informant named Sean O’Callaghan, the IRA guns were intercepted after being handed off to a fishing trawler called the Marita Ann off the coast of Kerry. Current Sinn Fein TD Martin Ferris of Kerry who was on board the Marita Ann was convicted of gun running after the interception. Back in Boston, Valhalla crewman McIntyre was arrested on a different matter and spilled the beans on Bulger and others to beat the rap. Among those he gave the information to was FBI agent John Connolly who was secretly protecting Bulger. Bulger and Connolly went way back to South Boston together. Connolly recounted in his criminal trial how they had first met. As Connolly testified it began in 1948 in a Boston ice cream store when he was eight-years-old. 19-year old Bulger offered to buy him an ice cream. Connolly refused at the time and told him that his parents had told him not to take gifts from strangers. “Vanilla,” young Connolly replied. It was the beginning of a bizarre relationship that saw Bulger protected at all costs years later even when he was carrying out an alleged 19 murders. One of those was John McIntyre. He was lured to a meeting with Bulger and brutally murdered. Joe Bergantino former investigative reporter for WBZ-TV in Boston, now director of the New England Center for Investigative Reporting at Boston University recalled what happened next. After their son was murdered the parents of John McIntyre cooperated in a 1989 book that alleged that British intelligence had carried out the interception. They did so they said to avoid Whitey Bulger coming after them, as they strongly believed he had been responsible for their son’s torture and murder. But this week they will finally get to see Bulger on trial for the death of McIntyre. One of the key informants against Bulger will be former mobster Irish American Kevin Weeks who was allegedly there when McIntyre was murdered and has given graphic testimony. No doubt the McIntyre family are finally hoping for justice for John.